Born in Hungary in 1949 to Jewish parents who survived the Holocaust and horrors of WWII, George Friedman witnessed a devastated Europe. In an effort to escape communism, his family fled to a refugee camp in Austria before immigrating to the United States. Determined to discover those principles of logic that govern the world, George received his PhD in government from Cornell University, granting him access to some of the most brilliant thinkers in the field… in the US and across the globe. George’s unmatched analysis in geopolitics has led him to regularly brief military organizations and consult for Fortune 100 executives. 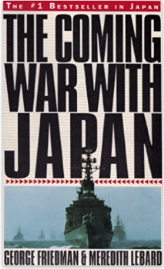 Seeing the need to bring geopolitical forecasting to a wider audience, George has authored several New York Times bestsellers, including The Next 100 Years. He also founded the geopolitical intelligence consulting firm Stratfor in 1996 and is now the founder and chairman of the geopolitical forecasting service, Geopolitical Futures. The Russian ruble, Turkish lira, and Iranian rial are all falling in value. The countries of East Asia are worried about the coercive power of Beijing’s pocketbook. And perhaps they should be. China is flush with money and it’s only a matter of time before Beijing tries to cash in. Six months ago, the Gulf Cooperation Council, helmed as always by its de facto leader Saudi Arabia, severed diplomatic ties with Qatar. This move was apparently meant to punish the country for its supposed support of terrorism. Is "Geopolitical Risk" Behind Rising Oil Prices? Toward the end of October, Brent crude prices crossed $60 per barrel for the first time in two years. They continued their ascent, peaking at around $64. For the past 40 years in the US, the rich have been getting richer, the poor have been getting poorer, and the middle class has been disappearing. China understands that its financial system is at risk. Between the central bank governor’s letter, Xi’s speeches, and the constant creation of new regulations and committees, Beijing is making no effort to hide it. China is building up military capabilities on the contested reefs, but the installations are primarily for defensive purposes. In the long view, history is seen as a series of events—but the course of those events is determined by individuals and their actions. During the next ten years, individual leaders will face significant transitions for their nations: the United States’ relationships with Iran and Israel will be undergoing changes, China will likely confront a major crisis, and the wars in the Islamic world will subside. Unexpected energy and technology developments will emerge, and labor shortages will begin to matter more than financial crises. 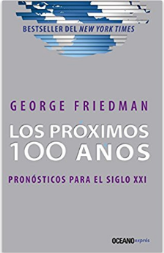 Distinguished geopolitical forecaster George Friedmananalyzes these events from the perspectives of the men and women leading these global changes, focusing in particular on the American president, who will require extraordinary skills to shepherd the United States through this transitional period. 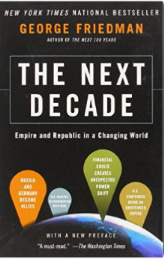 The Next Decade is a provocative and fascinating look at the conflicts and opportunities that lie ahead. 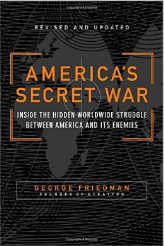 In America's Secret War, George Friedman identifies the United States’ most dangerous enemies, delves into presidential strategies of the last quarter century, and reveals the real reasons behind the attack of 9/11—and the Bush administration’s motivation for the war in Iraq. It describes in eye-opening detail America’s covert and overt efforts in the global war against terrorism: Not only are U.S. armies in combat on every continent, but since 9/11 the intelligence services of dozens of nations have been operating in close partnership with the CIA. 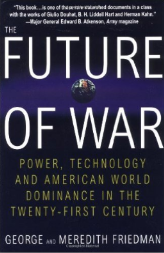 The Future of War makes a brilliant case that the twenty-first century, even more than the twentieth, will be the American century, and that America's global dominance will be associated with a revolution in weaponry and warfare as basic as the one that arose with the development of gunpowder five hundred years ago. From the era of flintlocks and cannons to the day of automatic weapons and heavy artillery, the waging of war-while undeniably changing in many aspects-has continued to rely on the technology that began with the use of black powder to expel a projectile through a tube. 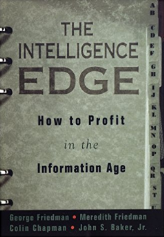 The Intelligence Edge provides you with tools honed by the world's premier intelligence-gathering professionals. The authors show how to use techniques perfected by such organizations as the CIA on how to find and collect, prioritize, and analyze data. They present a comprehensive system of information management that will teach you how to identify and target different sources of information, from the library to the internet to company gossip. Because some information is expensive or difficult to access, you will learn how to use your time and resources in the most efficient way possible. Then, once you have collected the information you need, you will be shown how to use it--what to store, what to discard, what to turn to your advantage. By following these steps, you can learn to compete and prosper in today's knowledge-based business environment.